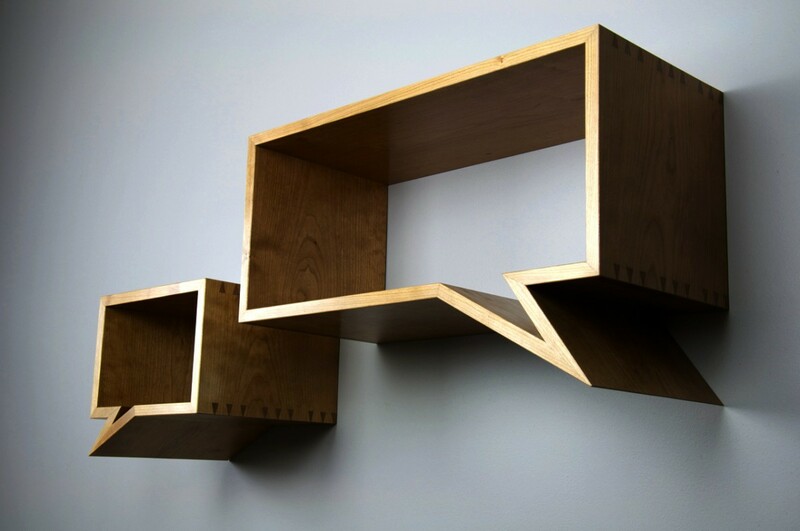 Sure to inspire a conversation or two, these unusual floating wall shelves hold everything from comic books to trinkets to nothing but imagined speech. 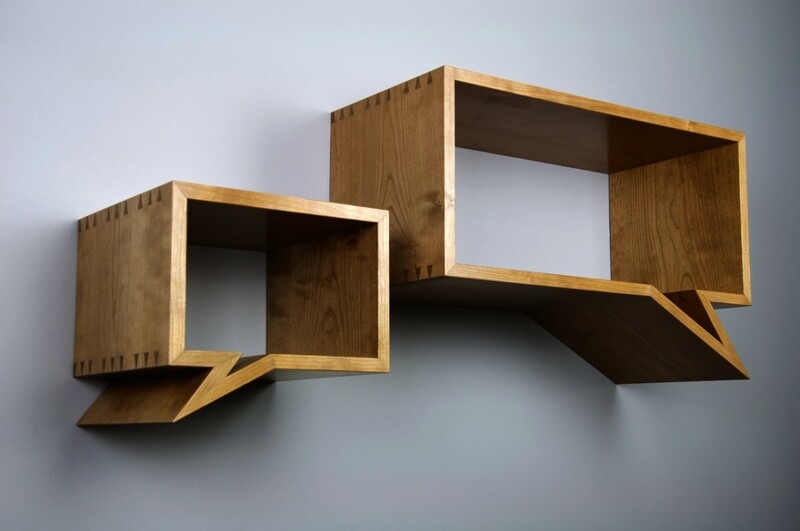 Each “box” has been carefully cut from a single, wide board and sequentially rejoined. 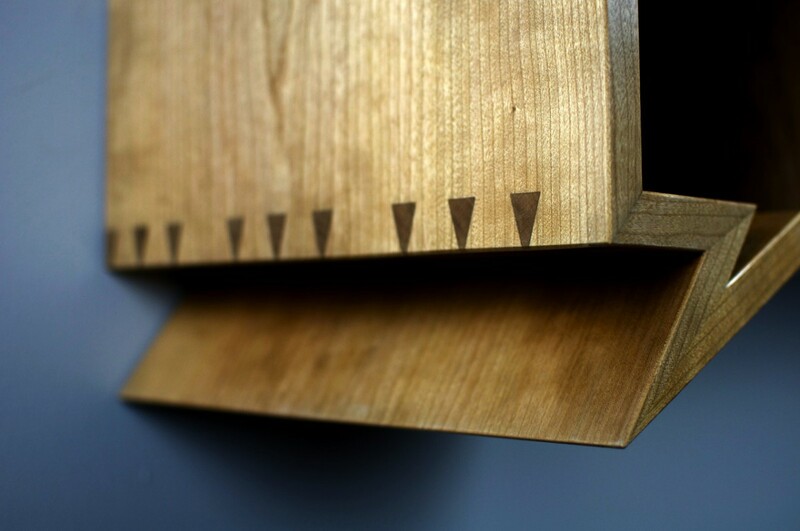 Dovetails appear at every juncture, including where the point joins the bottom. 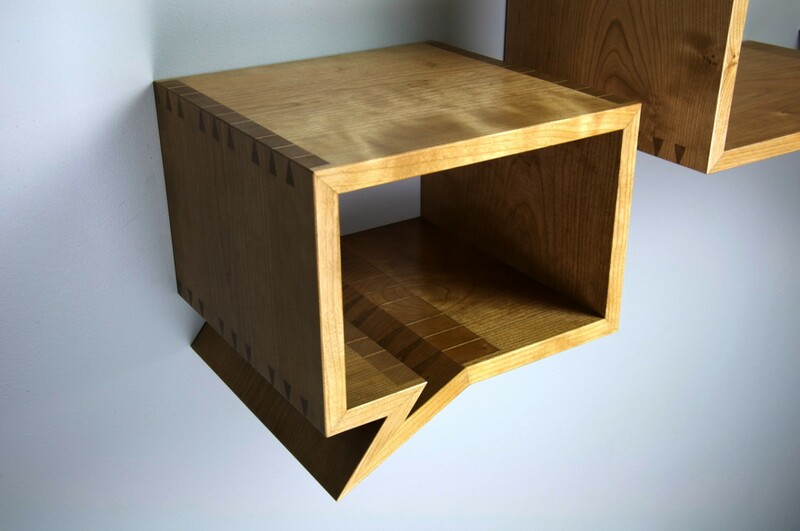 Miters have been incorporated into the joints at each corner, ensuring a neat appearance from the front. 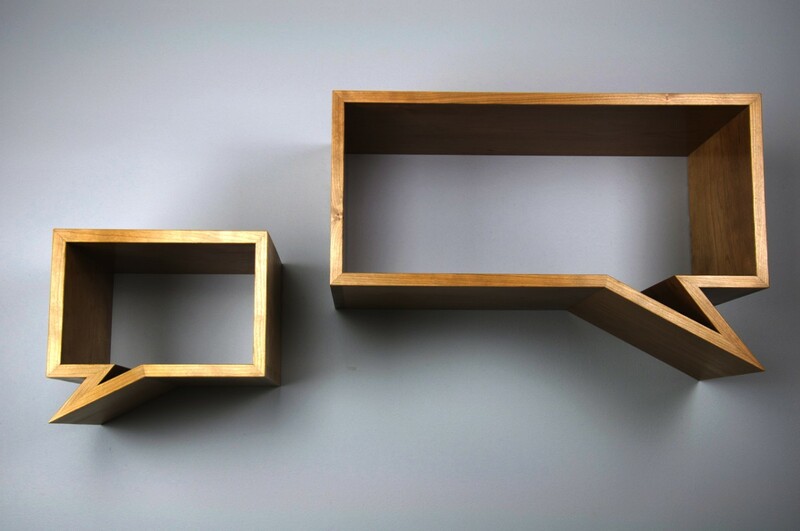 Normally encountered on a two-dimensional page, these “speech bubbles” present in tangible form the tension between the real and the conceptual. 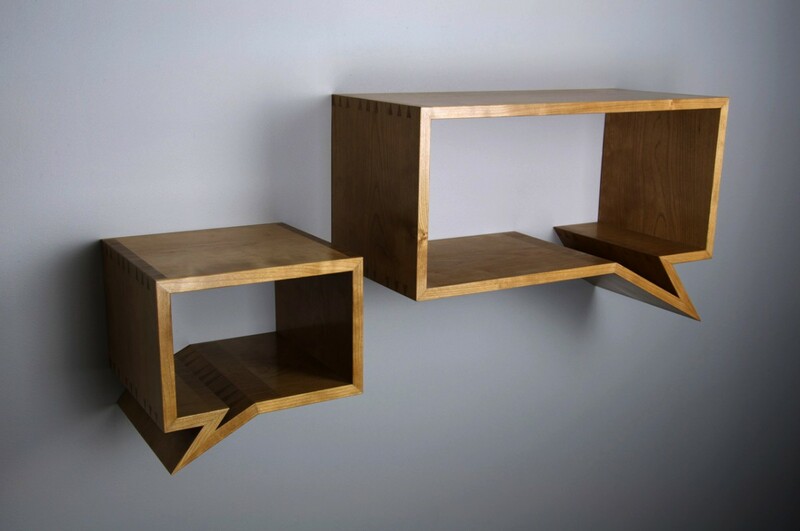 This tension is only enhanced by the natural substance of wood and the reference to making embodied in the hand-cut joinery.